While we learn about AHAS, BHAS and Retinols, it is important to understand the function of a peel. #Peels are #regenerating the skin. They strengthen the bonds in the skin, increase circulation, stimulate fibroblasts-resulting in new cell development. But downtime peels and superficial peels are different. It is important to know the difference and it is extremely important that the person applying your peel is certified and knowledgeable to do so. It is important to note that one superficial peel will help lightly improve the skin texture . 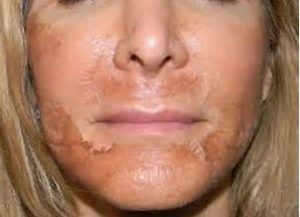 Superficial peels give the best results when done in a series. When dealing with acne, monthly peels are a very important part of the healing process. However, skin requires an active phase and a resting phase, over peeling will have detrimental affects and is not recommended. There are many steps necessary to complete prior to a peel. Never allow anyone to just peel you on a moments notice. Your skin must be prepared for the ultimate response. To learn more, please contact Jo Ann at Skindeepgj.com. Schedule your consultation today and find out if you are a good candidate for this amazing regeneration. #peel, #renewedskin, #medicalspa.